Comment: Our home was built in 1993.Insulation needs to be added to the attic. We need quotes to plan on budgeting so we can complete this project by summer. Comment: I would like to get an estimate on having several of my windows sound proofed. Comment: The house was built in 1979, so it needs a new layer of insulation. Comment: Currently have blown-in insulation, would like additional insulation added and a radiant barrier installed as well. 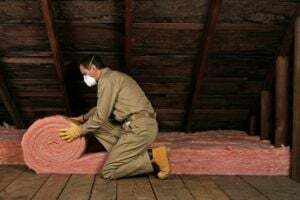 Comment: I would like to get an estimate for adding blow in attic insulation at one property and spray foam insulation at another next door. About 1900 sq ft, older wool insulation currently. Bryan Insulation Contractors are rated 4.81 out of 5 based on 89 reviews of 7 pros. Not Looking for Insulation Contractors in Bryan, TX?